2019 defensive back commit Jaleel McRae (6-0, 185, New Smyrna, FL. 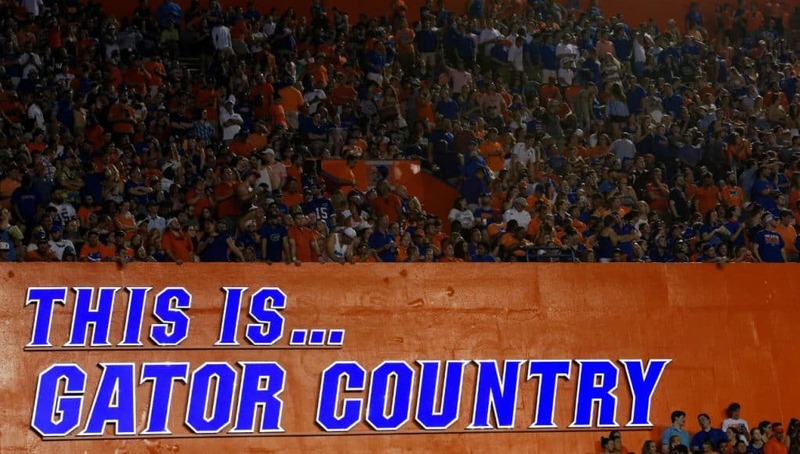 High) has been a frequent guest in the south endzone since he committed to the Florida Gators in 2016 and that continued on Saturday. One of the things that McRae wanted to do while in Gainesville on Saturday was catch up with everyone and be back on campus again. McRae hasn’t wavered since he committed to Florida and he explained why that’s the case for him. The 2019 commit admits that the Orange and Blue is everywhere he turns and his family is also huge fans. 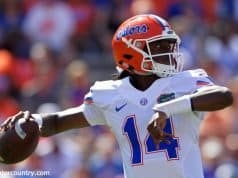 Despite being solid to Florida, McRae admits that UCF and Georgia are after him he remembers the last thing Jim McElwain told him before he was let go at Florida. McRae has had those teams coming after him but he says his commitment remains the same. Several other 2019 commits have also said that their commitment is still as solid as it was and McRae says everyone talks on a daily basis. 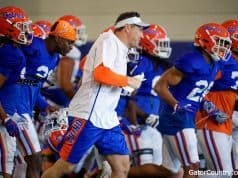 Despite not having McElwain around anymore, McRae says things are still bright for the Gators in the future and he knows the process that they have to go through. 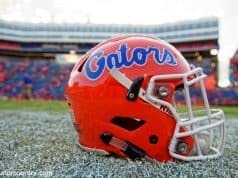 When asked who he wanted as the next coach at Florida, McRae quickly admit Chip Kelly was a guy that has his attention. Athletic director Scott Stricklin also spoke with McRae and had a quick message for him. Stricklin caught McRae by surprised when he recognized him and called him a big piece to the 2019 class.